History buffs, educators, and even adventure-seekers love to discover unsung movers and shakers—especially stories that include elusive African American heroines whose lives and achievements have been largely ignored even though they have made an impact on society. 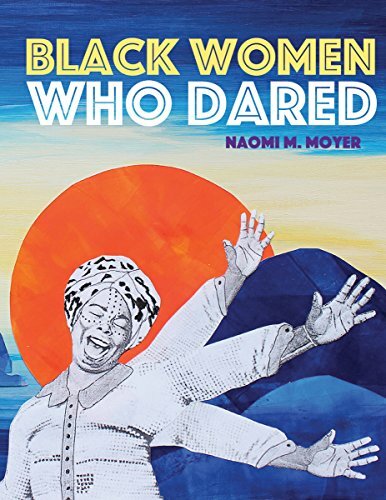 Black Women Who Dared by Naomi M. Moyer is one of those books. Black Women Who Dared tells the stories of ten African American heroines who lived (and in some cases, died) in absolute obscurity, but who impacted their communities and made a difference in world history. There is Jackie Shane, a transgender woman who sang with the popular band Motley Crew, and who tackled sexuality, racism, and gender bias long before it became popular. Then there is the story of Sheroma Hall, a Jamaican activist who settled in Canada and addressed issues like housing, police violence, education, and gender. There is also the story of Mary Miles Bibb, a freeborn Quaker who married a refugee slave and became a teacher, abolitionist, and co-publisher of the newspaper, Voice of the Fugitive—the first black-owned newspaper in Canada. Moyer’s illustrations are a lovely blend of black-and-white pencil drawings set against splashes of color, which makes this book a keeper for collectors of books written by and for African Americans. However, it should be noted that the book is super-brief (only 24 pages), and there is no dialogue. Avid readers who love delving into the lives and minds of heroes and heroes may be disappointed when they discover that they never “hear” these women speaking about their adventures, beliefs and goals. Moyer simply “tells” everything about their lives, and readers do not discover anything on their own. It is understood that it may have been difficult to discover and document these women’s actual words, but without dialogue—with only Ms. Moyer “telling” their stories and not “showing” who they were through dialogue, the book takes on a flat and somewhat monotonous tone. That being said, this book can still serve as supplemental reading for both early elementary and upper elementary history classrooms. In addition, history buffs who love unsung heroes can always build on Moyer’s initial research.